This book literally left me speechless and I have to give kudos to the author because she totally sideswiped me with this one. Knowing that Gabe was the hero in this book I eagerly anticipated how this character could be redeemable, how could K Webster make me like this man? This was a man that was vile, twisted, depraved, disgusting, had no scruples and was evil personified. What could K Webster possibly bring to the table that would make me read a whole book about him? Well, K Webster brought her A Game. I loved book one in this series, book 2 I liked but this one…OMG this one has left me reeling for days and it is for this reason that I had to give it 5 stars. 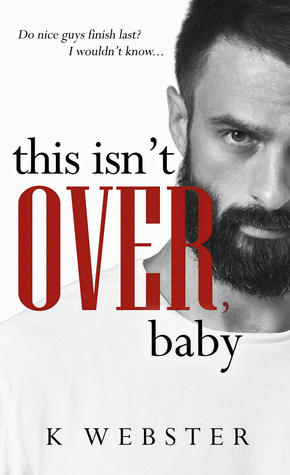 I have thought about this book non-stop, I have discussed it non-stop, gah, I need Gabe out of my head. What K Webster delivered was a book that didn’t make me like Gabe but at least made me understand him a little. His back story was enlightening and finally gives up the puzzle pieces that make up the complete picture of this sick and twisted evil man. We knew from book two that he had “settled” down somewhat, but for Gabe this was a means to an end, a stop gap. He was biding his time and it is this that is most frightening, what happens when Gabe Sharpe finally makes his move? I really cannot say much about the story itself as everything is a spoiler, all I can say is that at times I cringed, I felt extremely uncomfortable, I felt sick. I was shocked so many times, not so much by Gabe’s behaviour but by the heroine in this story, the twists with regards to this character were totally unpredictable, unforeseeable and totally and utterly unfathomable. With eyes wide open I had to admit that Gabe may have finally met his match. Hades and Persephone had found each other, the King and Queen of the underworld and what havoc they wreaked. This book is definitely not for the faint of heart, K Webster delivers this story with no filters whatsoever, yes, it is dark, yes, it is brutal, but despite how uncomfortable I was I couldn’t put the darn book down. I was addicted to this sick, twisted and depraved story. It was a car crash, but it was their crash and they were the only survivors. You can tell how bad this book gets when Gabe is deemed the sensible one, the one in control, a man of reason. His heroine in this book is on another level. When their relationship first begins I was mortified, I was like, I cannot read this, this is just wrong on so many levels but as their relationship pans out over the pages I found myself actually seeing that these two were so right together…how the hell did K Webster do that?? This was a relationship that was incomprehensible, yet their actions, the time they spend together, they actually work and Gabe has more than his hands full. I still can’t get over it, I’m typing this with so many thoughts whirring around my brain that I am just dumbstruck. Trying to find the words to convey just how great this book this was and trying to justify why I felt that way makes me look at myself and say what the hell? Why did you love it, you should have hated it, I should slap myself really, but this is kudos to the author, she brought her characters to the table and she owned them. She created a story of pure evil and made me want these characters to stay together. They deserved each other, they understood each other. Could the heroine have had a different life…maybe, but those base urges would venture to the surface eventually and with no one to control her, or who could control her the world was a safer place with her and Gabe together. K Webster, you outdid yourself with this one. I am just dumbstruck.